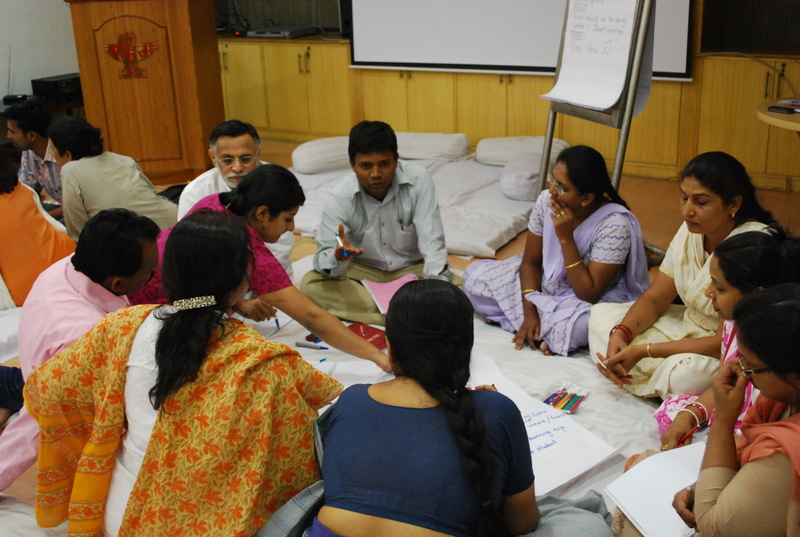 The teacher training intervention- The World is My Classroom facilitates school teachers to design and implement life skills and active citizenship curricula within the existing educational framework and links the process of education with social realities. The Teachers Resource Centre builds in teachers an approach to citizenship issues and supports them to embed citizenship curricula within the school system. Our first centre has been set up in partnership with Bluebells School International, New Delhi. Educators Collective brings teachers and educators together to promote an exchange and dialogue on active citizenship issues. The membership based collective also offers learning opportunities for teachers who are helping young people engage with society meaningfully. 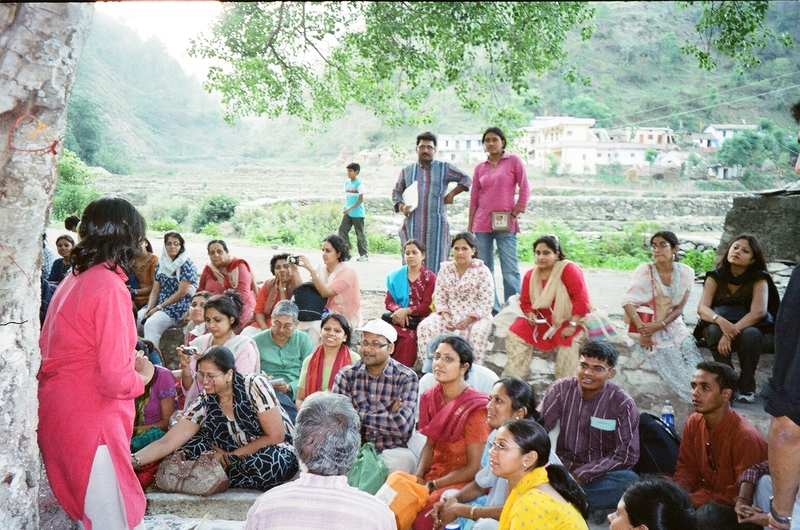 Teachers from Heritage School, New Delhi on an exposure visit to Beej Bajao Andolan, Uttaranchal.